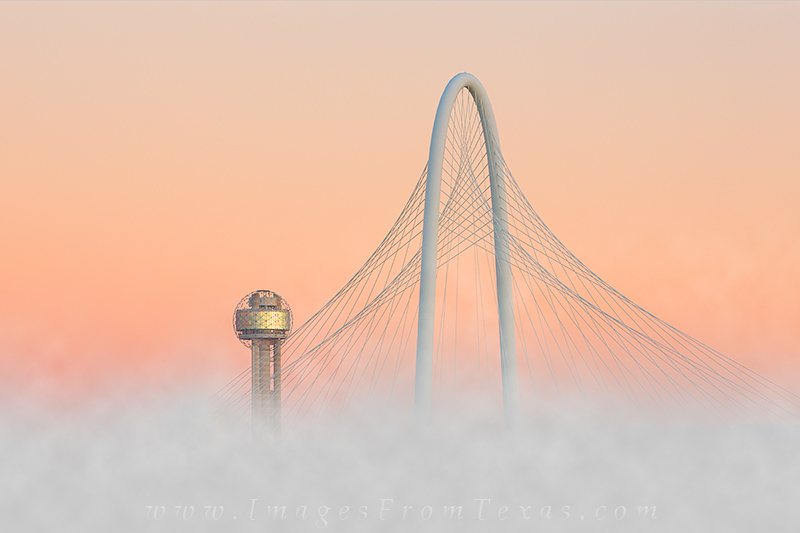 I had enjoyed an evening of photographing the Dallas area the evening before, and I returned the following morning with the the hopes of fog forming above the Trinity River with the forecasted cold temperatures. There was fog, and for a while I was worried I'd not get a glimpse of anything. However, the layer of moist air began to sink, revealing the Margaret Hunt Hill Bridge with Reunion Tower in the distance. Photo © copyright by Rob Greebon.